I saw this article and knew that I had to share. This new millennium has been difficult for all of us. 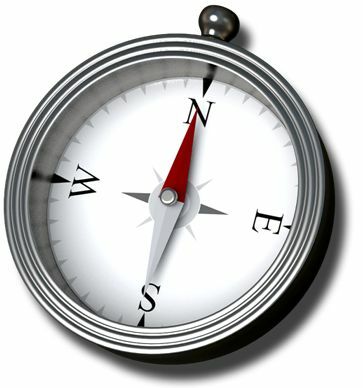 As we struggle through economic downturns, corporate and public ethical lapses, changes in our world and marketplace, we need an internal compass that keeps us on track as we navigate our way through. During my MBA program I was struck by the incorporation of ethics into every class. Ethics are a topic that we all assume everyone understands, thus we spend little time studying or thinking about it. When I review some of the recent corporate and public scandals, it is hard for me to understand how those involved could make such ethical lapses. Did they know what they were doing was wrong and consciously made the decision to do the wrong thing or did they truly believe that they not doing anything wrong? In our classes we were exposed to some of the tests that can be applied to determine whether an activity is ethical – does it comply with the “golden rule” (do unto others as you would have done unto you) would you want the activity written on your tombstone or in the newspaper? , or does the activity contribute to the larger good? Simple tests that should be easy enough to administer and yet we continue to see horrendous lapses in good judgment and ethics. The Project Management Institute has published the PMI Code of Ethics that outlines accepted norms of behavior for the profession. Interestingly, even if you are not a member of PMI, if you are a Project or Program Manager or Project Coordinator, you are held to that code of ethics since PMI is considered a governing body for the profession. This is true of other professions as well. Ethics are not something that we think about everyday but we should. Little lapses pave the way for larger lapses. When we see ethical violations we should report them. When we are asked to violate our own ethical codes, we should push back, explain how the request violates our ethics and ask to find a way to resolve the situation that does not compromise our ethics. Ethics are the ground rules of our lives. Without them we have no compass. Without a compass, we lose direction. I have listed a few other ethics references below. The HBR Debate Week 3: What About Ethics?